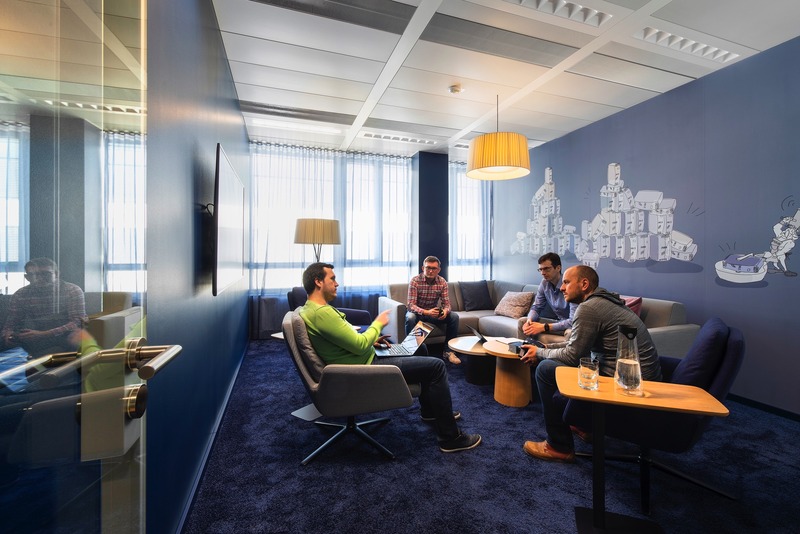 Creativity and innovation are the lifeblood of businesses. 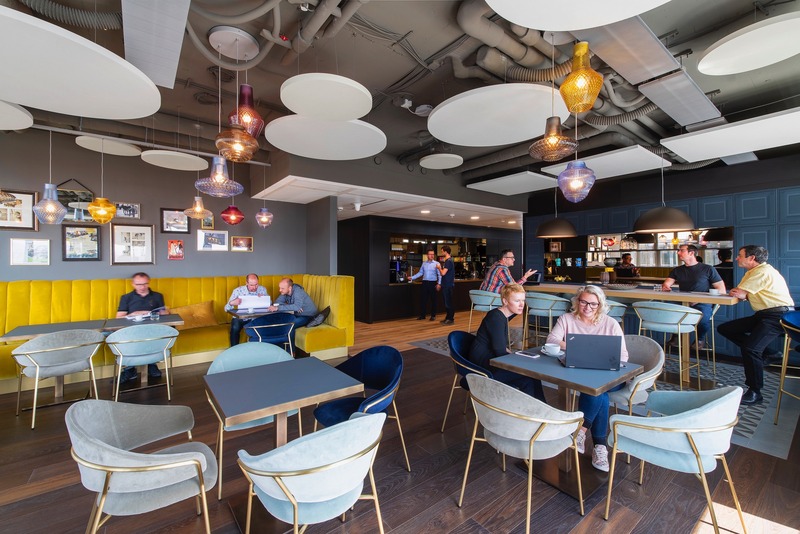 Recruiting the right staff is the first step, but equally important is providing an inspirational workspace. 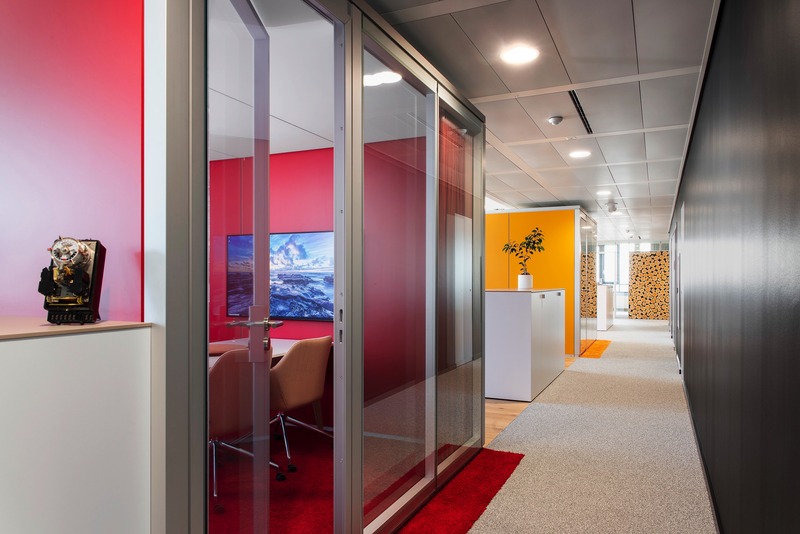 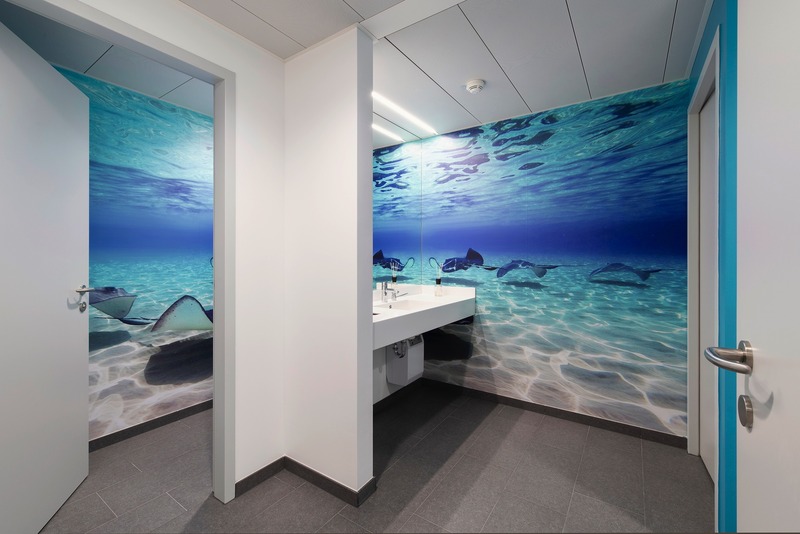 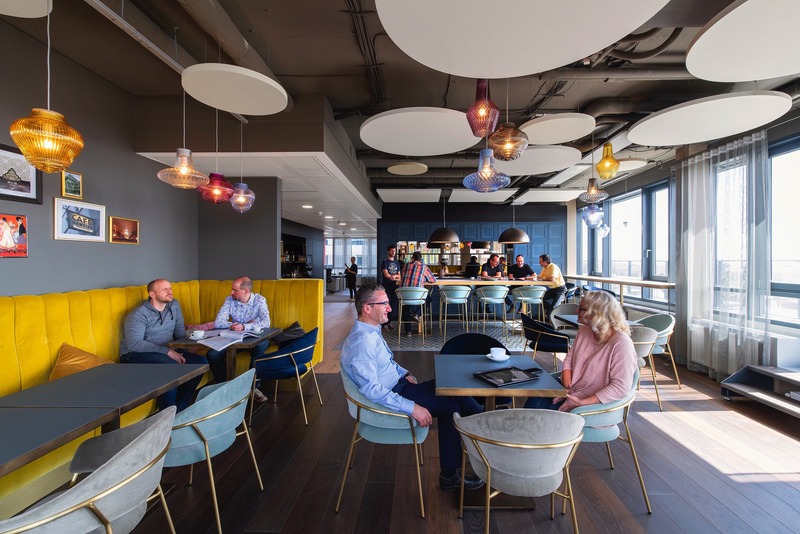 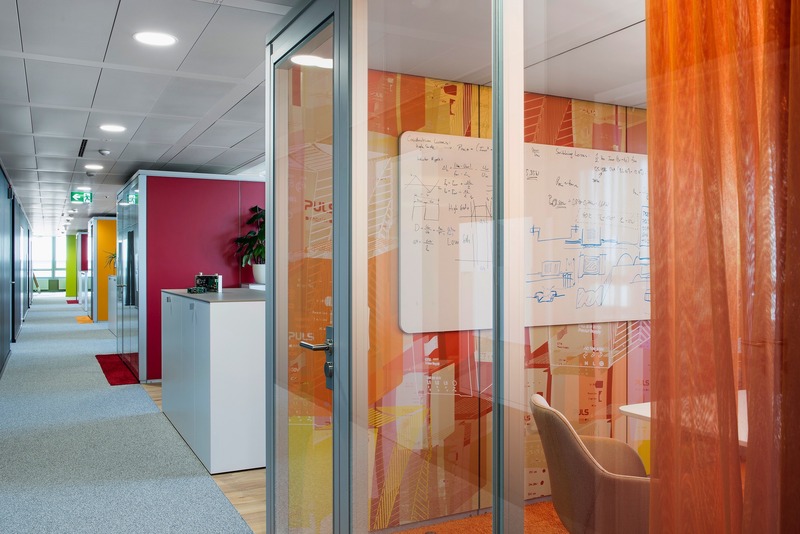 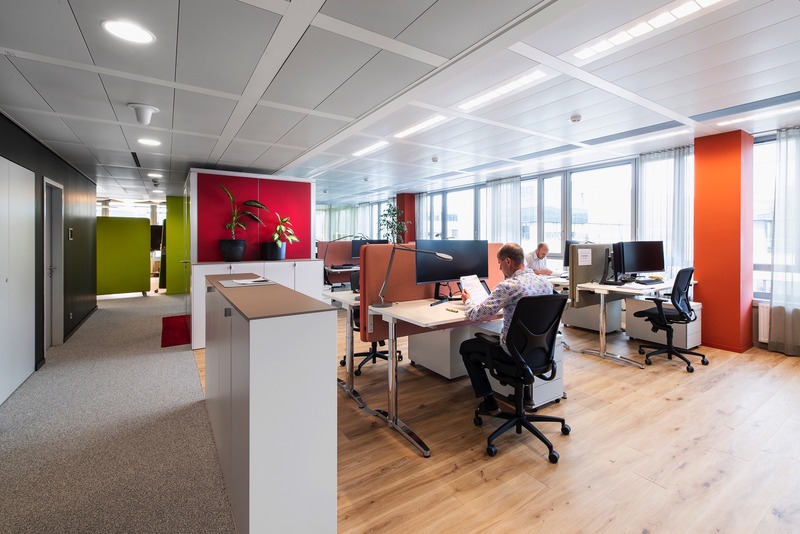 In March 2018, Swiss architecture and design studio Evolution Design completed a 1000sq metre office for PULS Vario specifically designed to enable innovation. 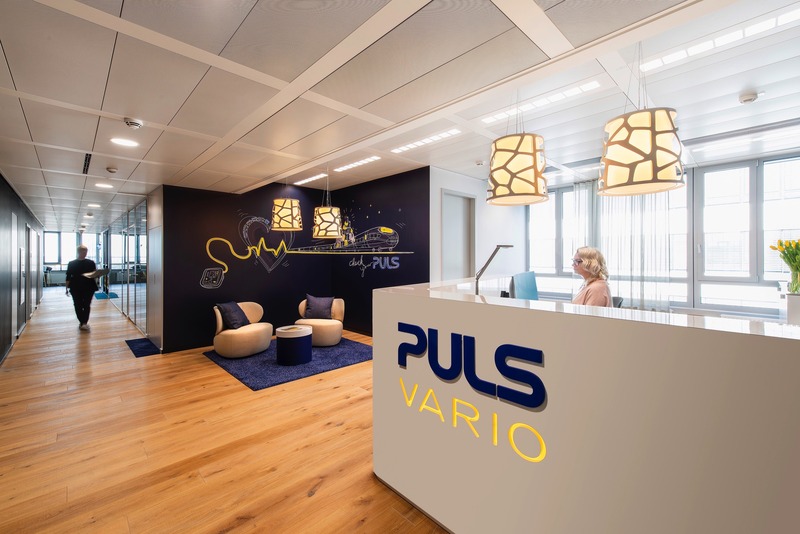 Vienna-based PULS Vario is a subsidiary of German engineering firm PULS. 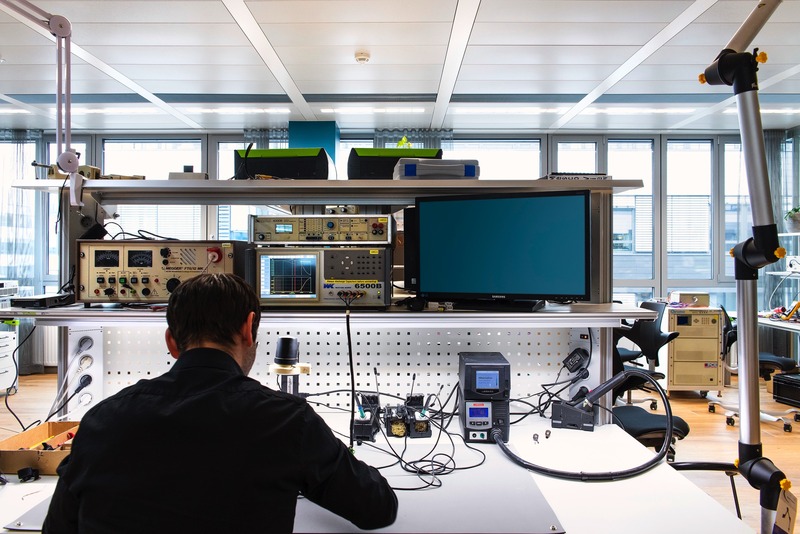 It specialises in research and development and delivering bespoke solutions to key customers. 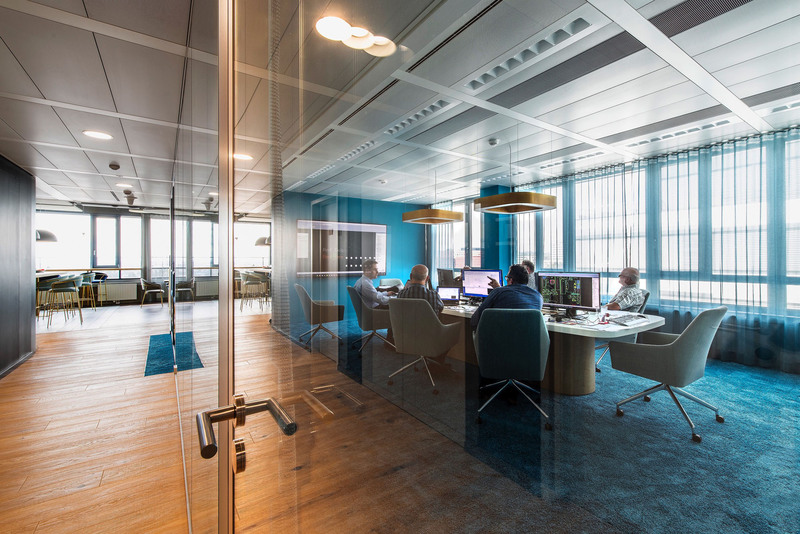 The division was formed when PULS was unexpectedly able to recruit 30 specialist developers following the closure of a competitor’s business. 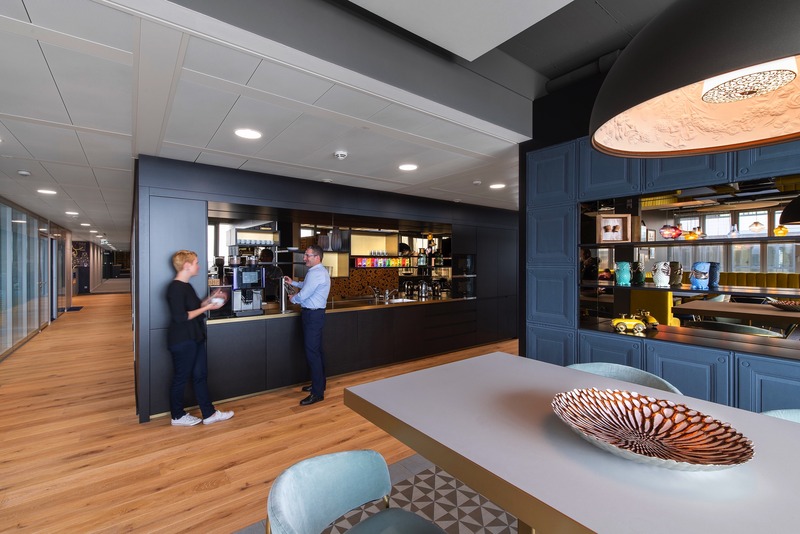 This sudden influx of staff necessitated a new office and offered the opportunity to create a space designed specifically to meet the needs of this high-tech R&D team. 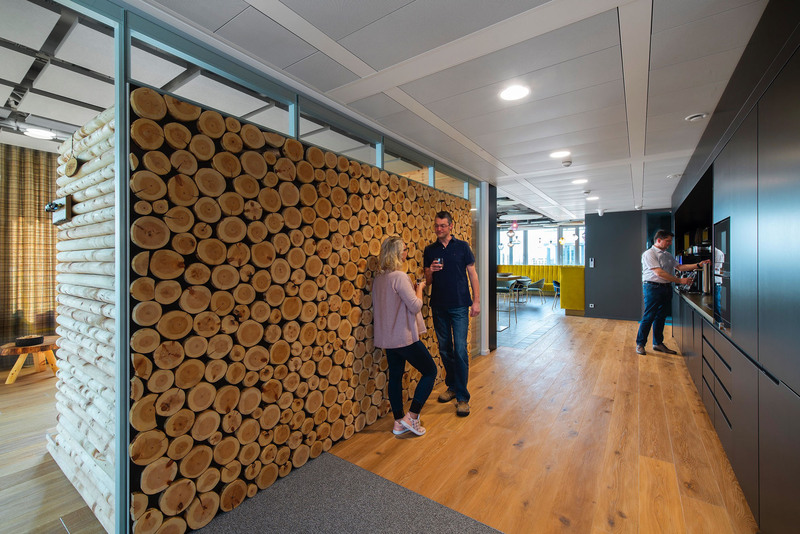 Designed in collaboration with the new team and the HR project team at PULS HQ in Munich, the Vienna office is based on the concept of the Vierkanthof, a traditional Austrian farmhouse structure arranged around a square-shaped courtyard where various experts work closely together to achieve common goals. 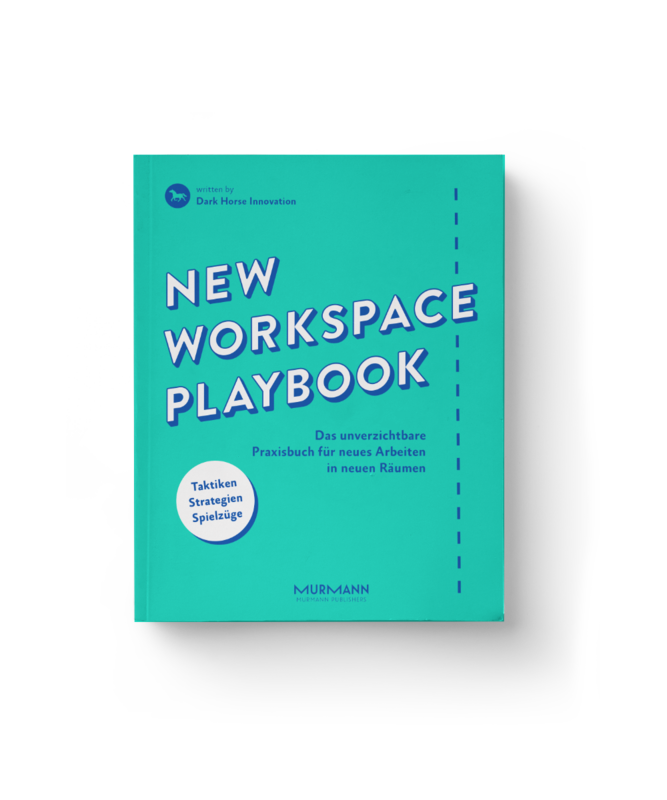 Evolution Design translated the concept of the Vierkanthof into a modern workplace divided into four main zones – RETREAT, DIALOGUE, CREATE and SHARE – each tailored to support different tasks and different stages of the innovation process. 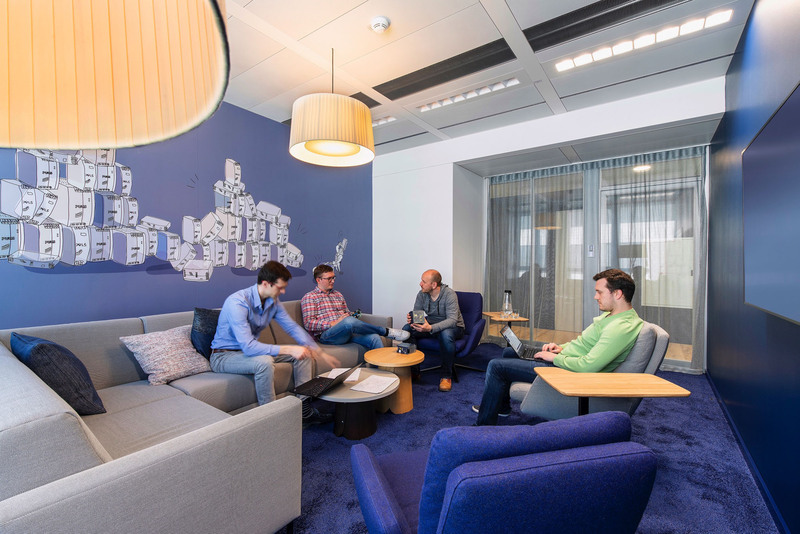 ‘This format allows people to be strategically connected and to work in a flow, which is an efficient and effective way to bring out the best in people,’ says Stefan Camenzind. 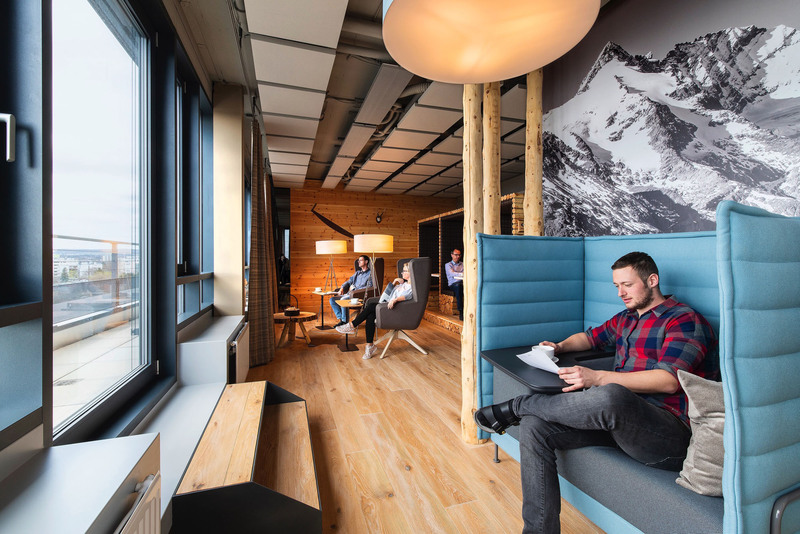 A place in which to think and reflect is the vital first phase of idea generation. 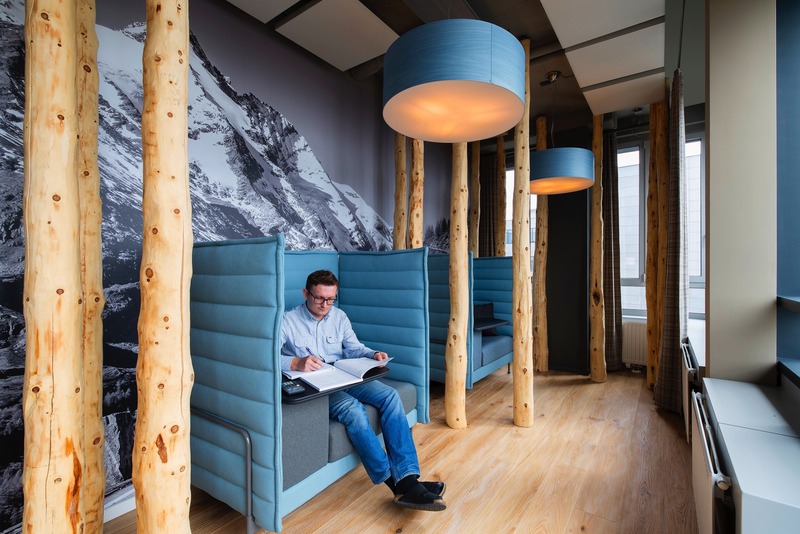 At PULS Vario, Evolution Design has created a RETREAT area modelled on an Austrian mountain hut. 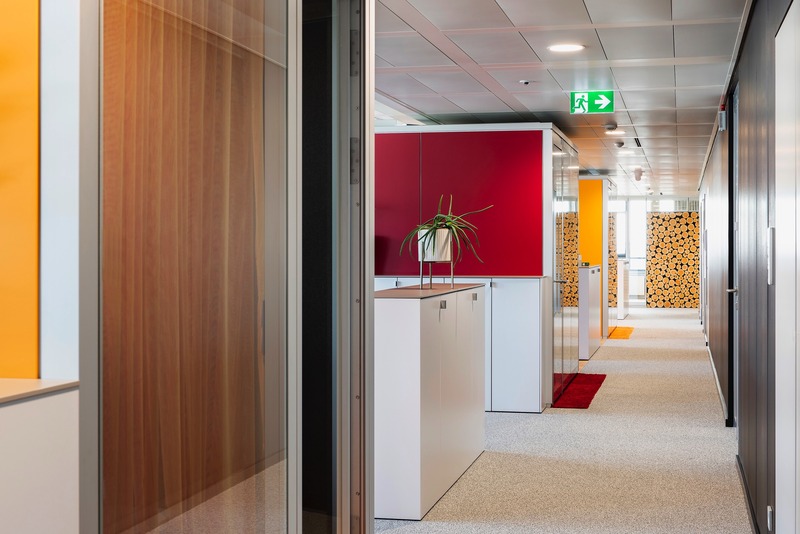 The space, which is designed to foster reflection and enable time for individual creative work, features log cladding, cow hide rugs and visuals of the Alps and offers various work modes, from secluded library chairs to private booths. 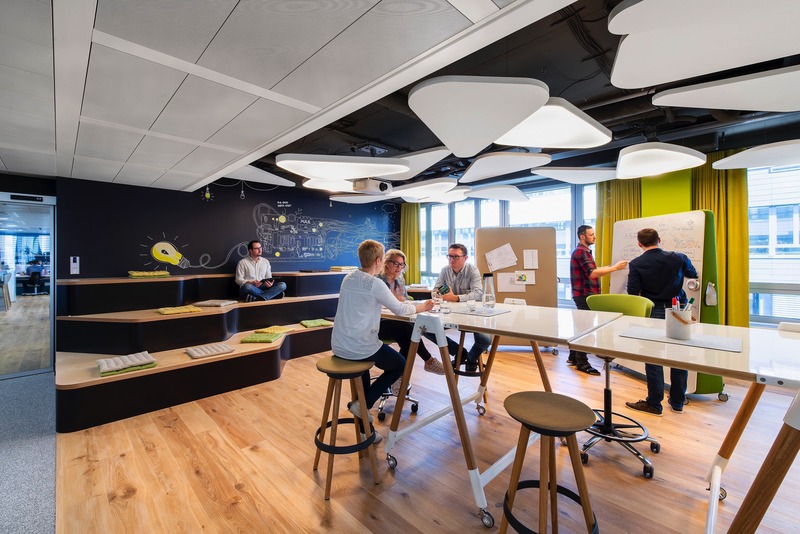 The second phase of the innovation process is DIALOGUE, where ideas are developed through informal discussion and collaboration. 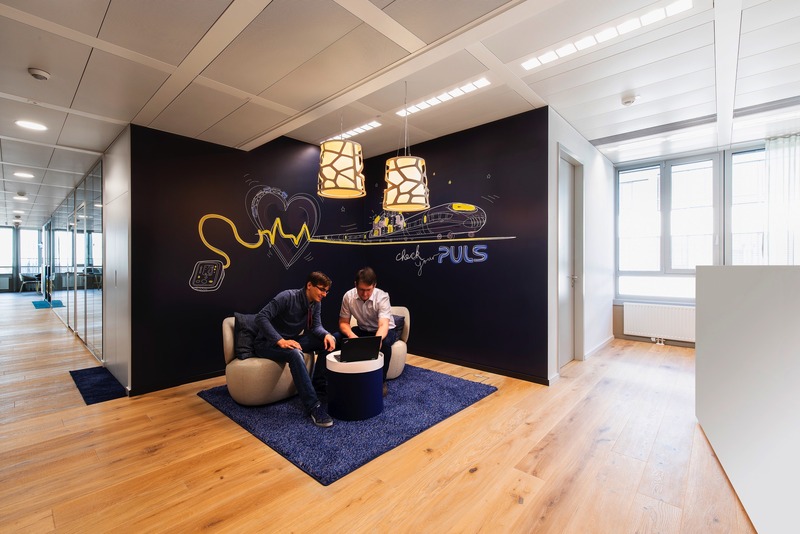 At PULS Vario, this stage is enabled in a workshop space that offers various modes for discussion, from long shared tables to whiteboard areas and an informal amphitheatre for exchanging ideas and making presentations to larger groups. 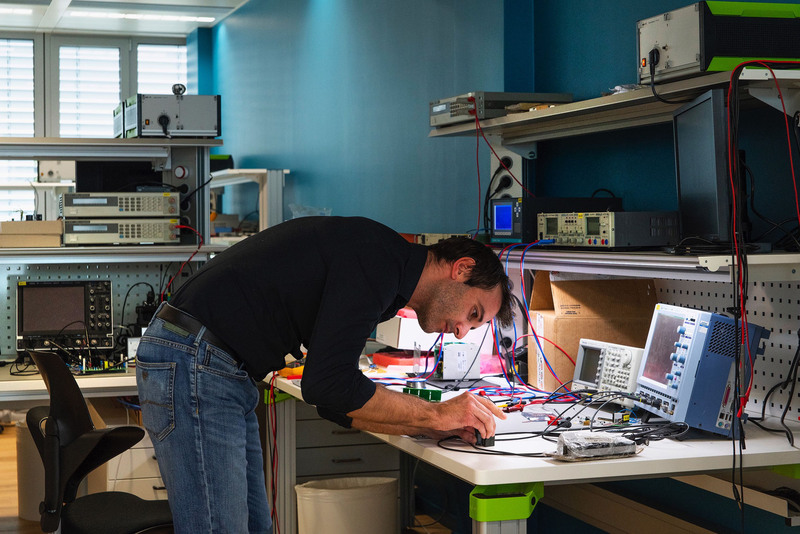 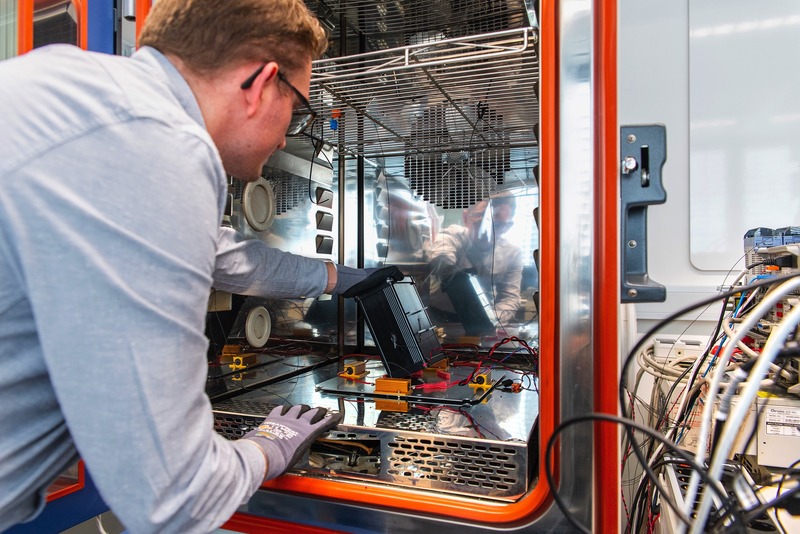 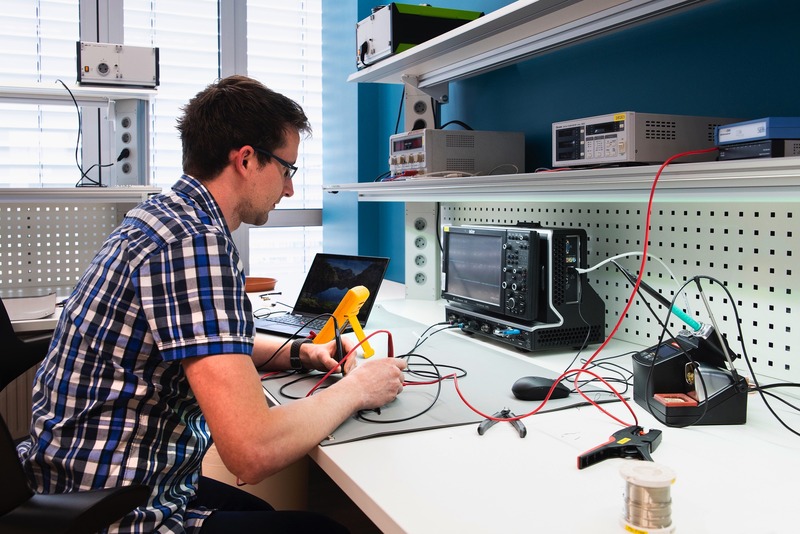 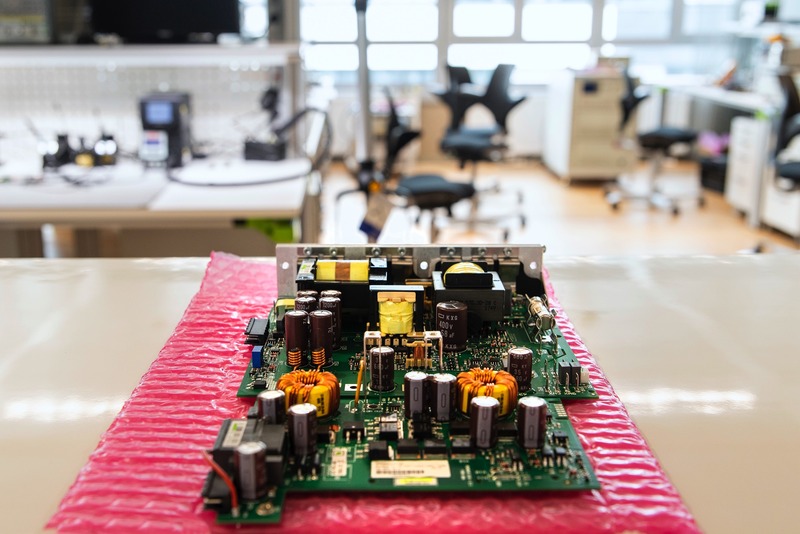 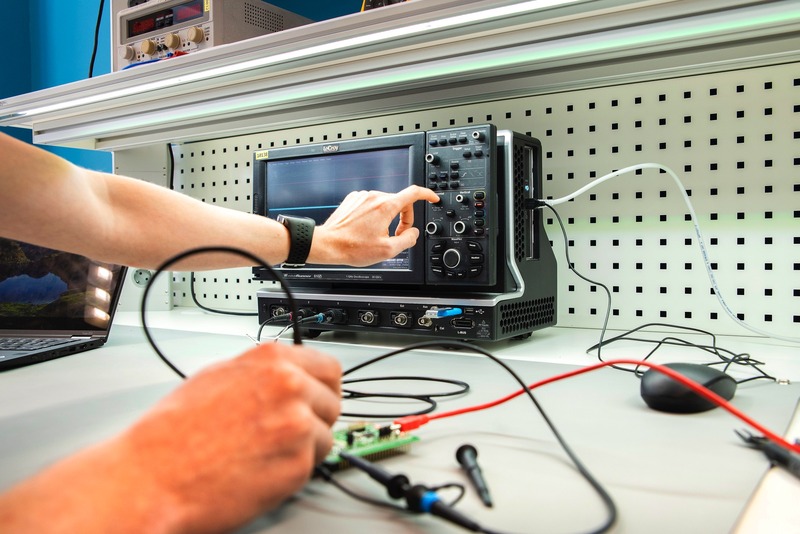 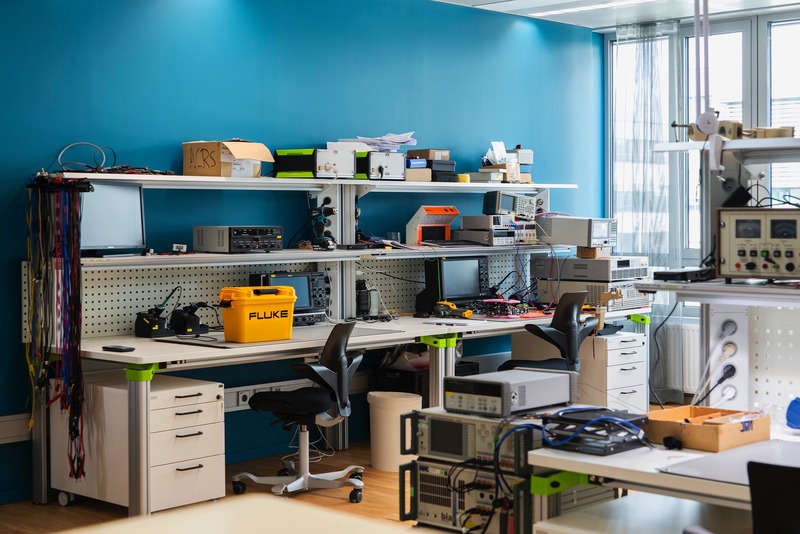 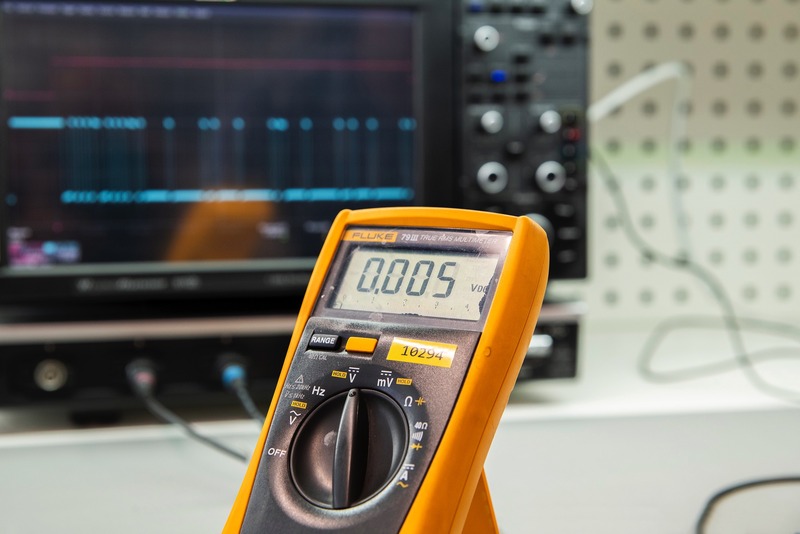 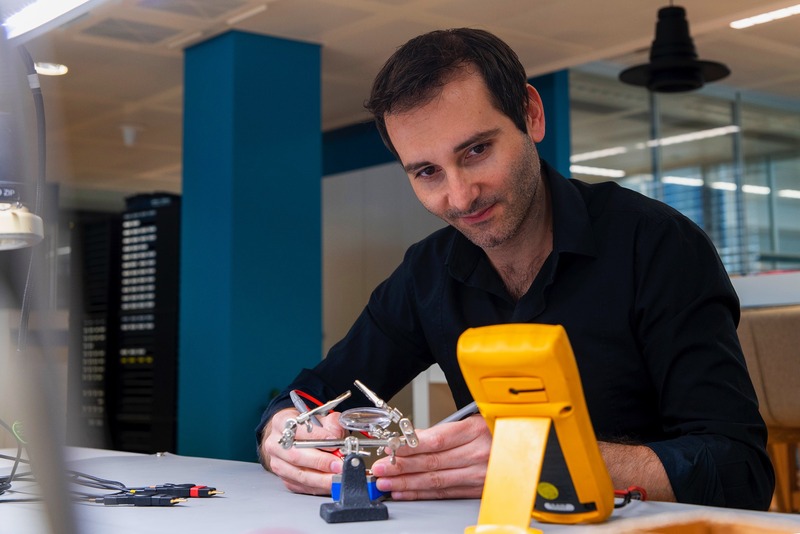 Realising ideas is the third innovation stage and to support this, Evolution Design has designed a high tech laboratory, the CREATE area, in which PULS Vario engineers can prototype, test and develop the new products they are working on. 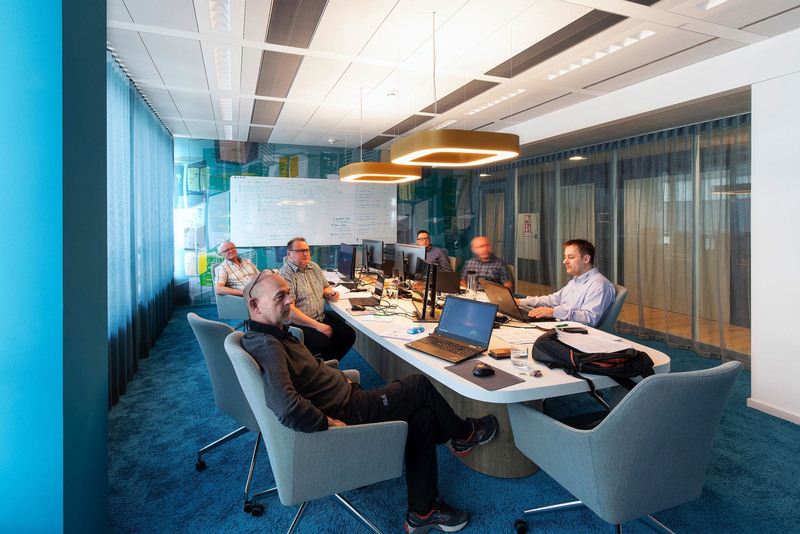 At PULS Vario, sharing is not the end of innovation – as ideas are evaluated and refined, new ideas also emerge and the process begins again. 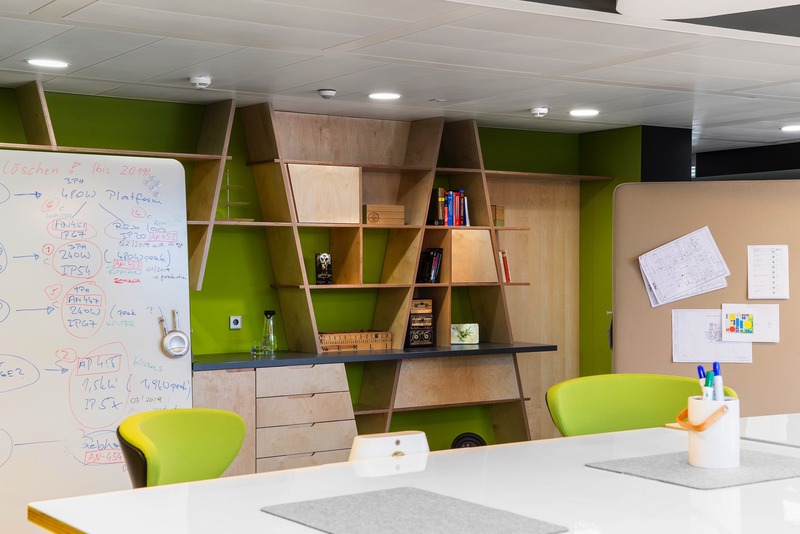 The new office layout, where the four stages flow in a virtuous circle, has been designed to enable continuous creativity and support the R&D team in their search for innovative new products. 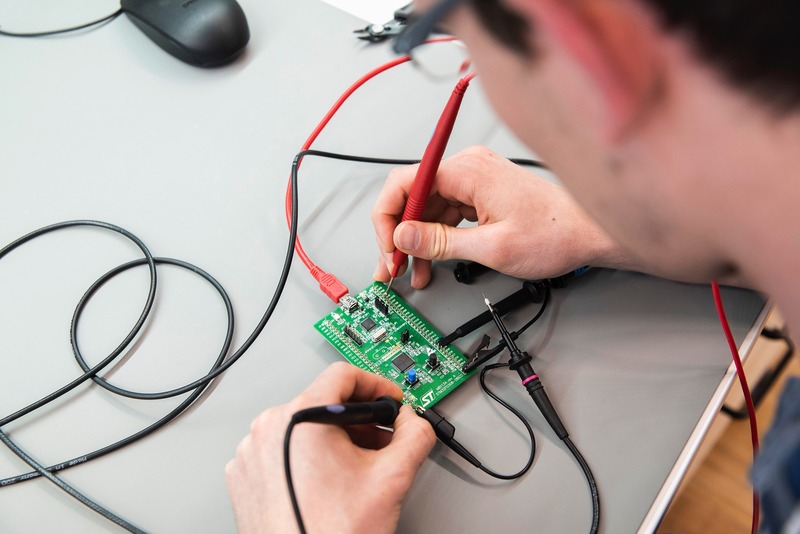 ‘Innovation and creativity can’t simply be produced on demand. 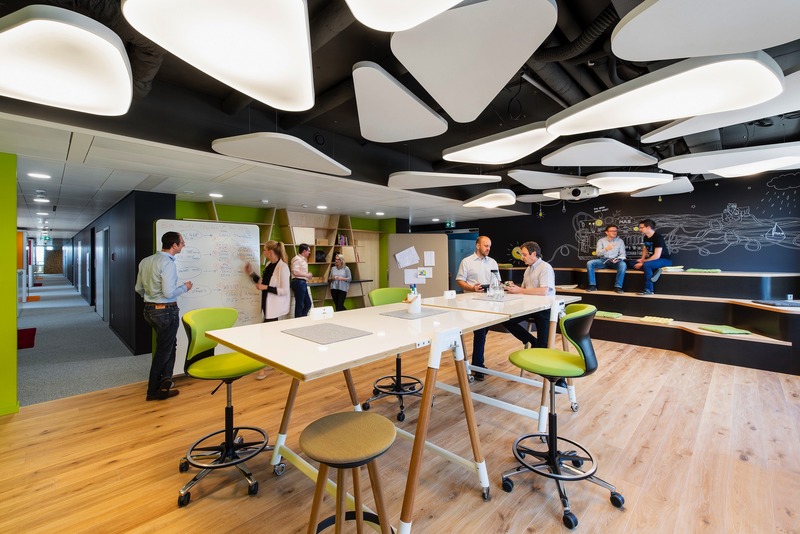 These are processes that have to be enabled and supported, not just in the way that people work but also in the spaces where they work. 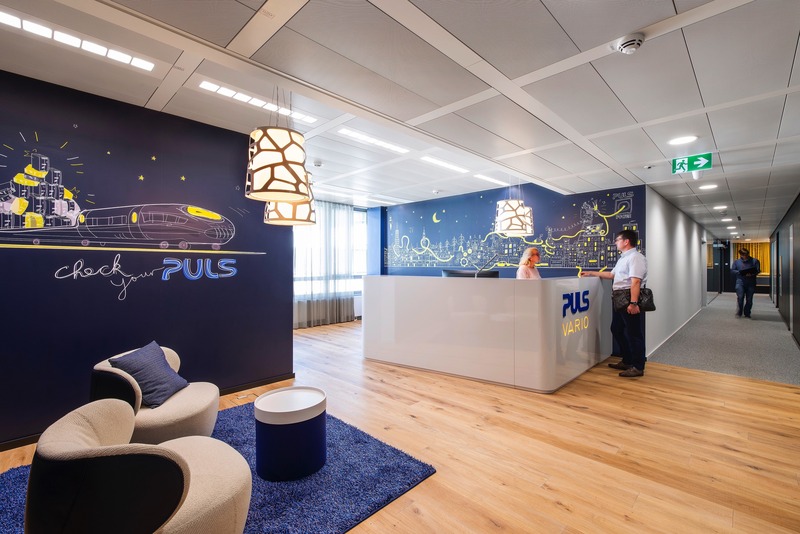 At PULS Vario, our office design is specifically based on the principles of how innovation occurs to ensure it supports the people who work there in coming up with new ideas and new products.’ - Evolution Design executive director Stefan Camenzind. 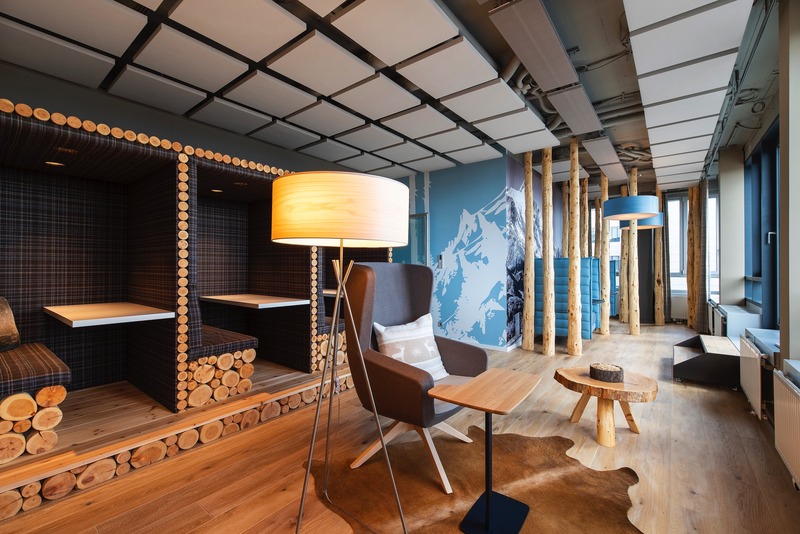 In the area of the alpine hut, the sitting set, camouflaged as a wooden wall from the hallway, offers space for creative ideas.